The work Dollar Dollar Bill does to make California's political money more transparent is complicated. This page is a reference for how we source and crunch data. The overwhelming portion of our raw data is sourced from the California Secretary of State. It comes either from their massive database of raw data or from recent reports to Cal-Access. There are some exceptions where we compile data sets ourselves, such as our database of large and frequent campaign contributors matched to a sector of the economy. The sections below describe generally how we process data from the Secretary of State and how we build our own data sets. Dollar Dollar Bill sources a candidate's total campaign contributions, sometimes referred to as "The Money Race" on this site, from Form 460 schedules A, B, C, and I (contributions, loans, in-kind contributions, and misc. increases to income) and Form 497 (late contributions). Data from Form 460 is tallied first. However, Form 460 is filed on a schedule with only a handful of updates per year. To get the most recent data, Dollar Dollar Bill then includes late contributions and contributions over $5,000, as filed on Form 497 for dates occurring after the last-filed Form 460. Once campaign contributions are tallied up, Dollar Dollar Bill subtracts sums that are transferred to a different committee controlled by the same candidate. When a candidate transfers funds in that manner, the effect is legally and practically as though they had never happend. Additionally, keeping those contributions in two committees' figures would amount to double-counting. Dollar Dollar Bill takes the position that loans are effectively campaign contributions. Candidates often lend themselves money and either pay themselves back with money raised later, or simply write off the loan as a loss after an election. During an election, loaned money functions like contributed money and is often an important piece of a campaign finance picture. Any loans repaid are subtracted. Dollar Dollar Bill also takes the position that miscellaneous increases to income from Schedule I should be included in our calculations. Most miscellaneous increases to income come from a campaign committee selling something, the cash from which it then has at its disposal for political purposes. Sometimes mistaken deposits are reported on this schedule, which are difficult to control for. Though those transactions skew our data very slightly, Dollar Dollar Bill prefers to slightly over-report data than to potentially under-report significantly. Dollar Dollar Bill sources independent expenditure data (spending for or against a candidate by a non-candidate) from four sources: Form 460, Form 461, Form 465, and Form 496. Data from Forms 460, 461, and 465 are tallied first. However, those forms are filed on a schedule with only a handful of updates per year. To get the most recent data, Dollar Dollar Bill then includes late independent expenditures filed on Form 496. Dollar Dollar Bill categorizes frequent and large campaign donors into 1 of 29 sectors of the economy. We have categorized almost 17,000 such donors. Dollar Dollar Bill's software sums a candidate's campaign contributions according to the sector from which funds originated, showing the industries that support a given candidate. 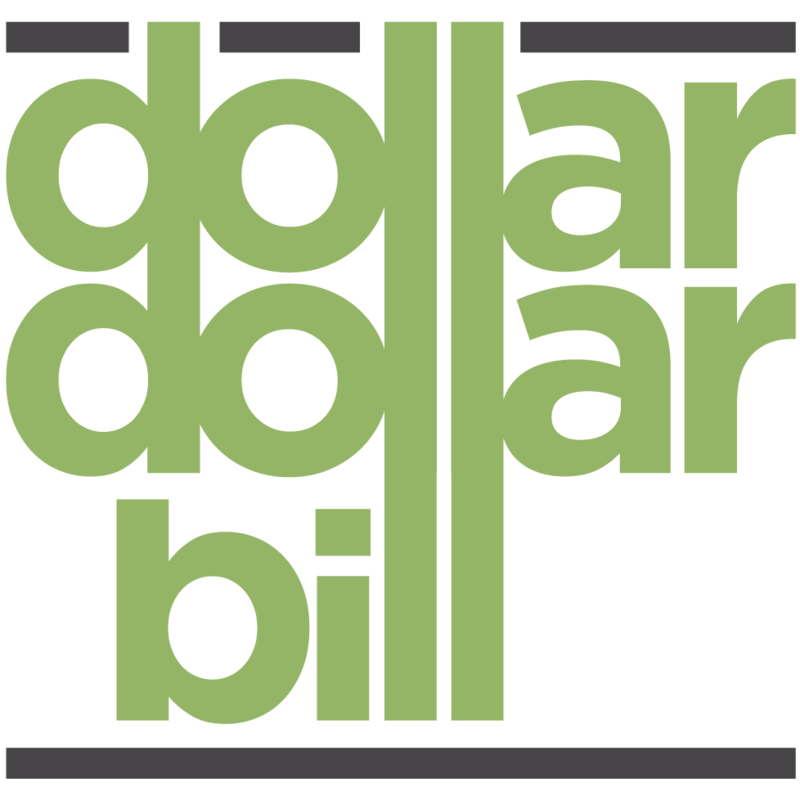 Dollar Dollar Bill takes two positions in categorizing contributions from individuals. First, campaign funds contributed from an individual should be categorized according to the source's primary profession during his or her lifetime. Contributors who did well for themselves in a given profession often list "retired" or other unhelpful information on their campaign contribution forms. Dollar Dollar Bill determines where large and frequent donors made their money before categorizing them. Second, where there is a large disparity between a couple's earning potential or multiple members of a nuclear family make contributions, a contributor is coded according to the profession of the family's primary breadwinner. Large and frequent donors often make contributions in the names of spouses and children to skirt campaign finance limits. To categorize the source of the funds as anything other than from the sector of the primary breadwinner would be farcical. A former real estate mogul now pursuing philanthropic endeavors is coded as "Real Estate"
A contributor whose profession is listed on campaign finance disclosures as Executive Director of a nonprofit, but who contributes $20,000 and has a venture capitalist spouse is coded as "Banking and Investment"
The information below defines the contours of each of the 29 sectors. This sector includes any business exclusively engaged in the sale of advertising or crafting advertising messages. It does not include media outlets that sell advertising as a main source of revenue, such as television stations or periodicals. This sector includes all farms, vineyards, and any businesses that supply farms such as seed growers, fertilizer producers, etc. This category includes any business set up mainly to be an investor of other businesses, businesses that provide investment services, and banks. It includes venture capital firms but does not include real estate investment firms (which are categorized under Real Estate, below). This category includes any business primarily engaged in the production, processing, sale, or distribution of cannabis, cannabinoids, or cannabis accessories. This category includes all businesses engaged in the process of building structures, such as building, construction management, architectural, and survey firms. It does not include suppliers of raw building materials. It also does not include real estate investors who may finance building projects, which are categorized under Real Estate, below. This category includes any business that provides consulting to customers, including management, communications, fundraising, lobbying, and political strategy firms. This category includes educational institutions, such as for-profit colleges, and individuals working in the education sector, such as individual teachers or college professors. It does not include contributions from teachers' unions, which are classified under Labor, below. This category includes any business engaged in producing, supplying, or recycling energy or resources. This category includes businesses making products designed for individuals' entertainment and leisure, such as TV shows, magazines, video games, and sports teams. It includes card rooms in California and any casino outside of California. However, it does not include any casino in California, which are categorized as Tribal Gaming, below. This category includes any business producing food anywhere beyond the growing phase and serving the food to customers. It includes sources such as restaurants, bakeries, and chefs. This category includes individuals with government jobs, such as prosecutors, agency analysts, etc. It does not include contributions from their unions, which are categorized as Labor, below. This category includes all producers of pharmaceuticals and medical devices. It also includes healthcare facilities, such as hospitals, and individual contributions from nurses or doctors. It does not include nursing homes, which are categorized as Real Estate, below. Nor does it include health insurers, which are categorized under Insurance, below. This category includes any businesses primarily engaged in the processing of information and producing the technology to do so. It includes producers of computer hardware and software companies. It does not include venture capital firms or telecommunication firms. This category includes all businesses engaged in risk management, including all health insurers. This category includes only those persons who legitimately earn their livelihood in the nonprofit sector. This category includes contributions from any labor union. This category includes contributions from law firms, lawyers, and businesses providing services tailored to law firms. This category includes any business creating physical products from raw materials. It could include steel producers, toymakers, or producers of clothing lines. This category is reserved for persons who inherited significant wealth. This category denotes transfers from candidates' accounts from previous election cycles and contributions from other candidates. This category includes contributions from a candidate's own funds and from businesses owned by them. This category includes contributions from state and county central committees. This category includes any business involved in the sale of property, including real estate investors, Realtors, and property assessment firms. This category includes any business engaged in the selling of products as either wholesalers or retailers. This category includes any business offering services for transportation of data. It includes cable companies and phone companies. This category includes any business primarily engaged in the production, processing, sale, or distribution of tobacco, cigarettes, cigars, or tobacco accessories. This category includes any business offering services almost exclusively to tourists, such as hotels and theme parks. However, any hotels with a casino or card room attached to them are either categorized as Entertainment/Leisure, above, or Tribal Gaming, below. This category includes the transportation of people or goods and storage of goods. It includes ridesharing businesses, airlines, and storage facilities. This category includes any Native American tribe or casino associated with a tribe. Any business not fitting into one of the categories above or which has not yet been categorized is listed with this label until it is.